Christians wrestling to apply the teachings of Jesus to their everyday lives. Communities plagued by divisiveness and hypocrisy, with an emphasis on wealth and status. That's the book of James ? and the story of our modern lives. A Youth Worker's Commentary on James has the entire NIV Biblical text printed alongside a deeply rich, yet readable, look into the meaning of this marvelous book. The book includes dozens of word studies, with fascinating historical accounts and personal stories, followed by a large section of thought provoking questions to get your students thinking and talking. Written for youth workers, ministry volunteers, and everyday people who want to probe deeper into the Book of James, youth workers will find it an invaluable aid for message and lesson preparation. Using this book to achieve a solid understanding of James, including its historical context, rationale, and meaning, youth workers will then apply this pertinent wisdom to the needs and issues they and their youth groups are working through. A Youth Worker's Commentary on James also includes bonus material and activities that make the passages come to life. 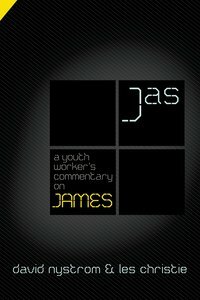 About "A Youth Worker's Commentary on James (Youth Worker's Commentary Series)"
This in-depth, readable approach to the Gospel of John is the first in a new series of commentaries specifically written for youth workers. You'll find commentary, word studies, personal and historical stories, and discussion questions to help get your students thinking and talking. Picking up where volume one left off, A Youth Worker's Commentary on John, Vol 2 will take you through the remainder of John's gospel, chapters nine to twenty-one. Written specifically for youth workers, this commentary includes word studies, personal and historical stories, and discussion questions to help you lead your youth group into conversations on the passages. Order now to secure your copy when our stock arrives. Other edition is available. 9780310670322 0 Available. Expected to ship in 6 to 7 weeks from Australia.